Ocala, Fla. (February 6, 2019)—The Live Oak International, which takes place March 7-10, 2019, has announced its second annual contest for National Anthem singers. 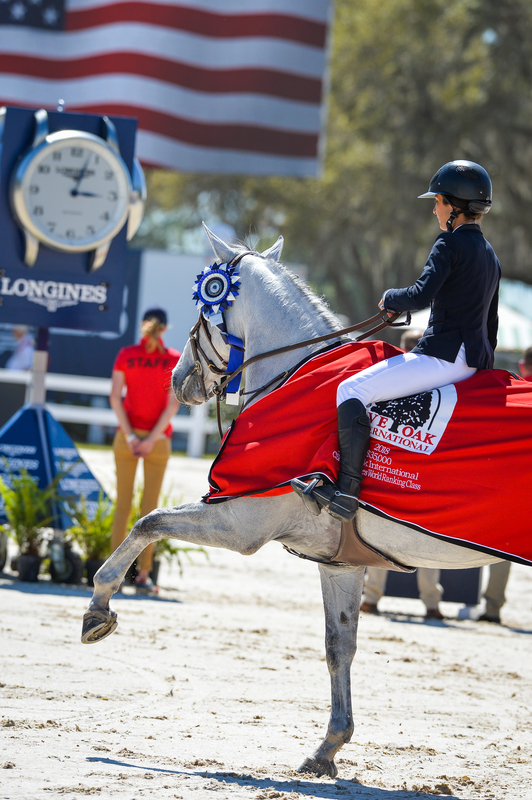 An Ocala tradition now in its 28thyear, the world-class equestrian competition brings top combined driving and show jumping athletes to the spectacular venue of Live Oak Stud each spring. Performances of “The Star-Spangled Banner” kick off the show jumping classes on March 9 and March 10. To enter the contest, singers or musicians must send a video with them singing the National Anthem to Meghan@liveoakinternational.com with “National Anthem Contest” in the subject line. YouTube links are preferred. Performers may be individuals or groups, with or without instruments. The contest ends February 28 at 11:59 p.m., EST. Winners will be notified via email before March 3. Live Oak International is the only international combined driving and show jumping tournament in the U.S. Equestrian athletes and horses from more than 20 countriescome to Ocala each year to compete at the event. This year, Live Oak International will host the USEF Combined Driving National Championships for the Advanced Four-in-Hand Horse and Advanced Pair Horse. Driving begins with Dressage on Thursday and Friday, continues with the Marathon on Saturday, and concludes with the Cones phase on Sunday, March 10. Show jumping competition culminates with the thrilling $100,000 CSI3*-W Longines FEI World Cup Jumping Ocala on Sunday, March 10. It is the last chance for riders to qualify for the 2019 Longines FEI World Cup™ Final in Gothenburg, Sweden. While equestrian sport is the cornerstone of this unique event, spectators will also enjoy performances by the Grandview Stables Clydesdales, a special horse breeds exhibit, boutique shopping, the Audi biergarten, and local food vendors. Live Oak Stud will also host the No Limits Sunday Funday and a car show on Sunday, in conjunction with Live Oak International. Special to this year, fans will have the chance to get autographs from members of the 2018 World Equestrian Games gold medal-winning combined driving and show jumping teams. Daily general admission tickets, week passes, and tailgating options are available. Visit www.liveoakinternational.com/shopto purchase your tickets. Started in 1992 by Chester Weber when he was only 18-years-old, the Live Oak International has grown into world-class equestrian event. Now run by Co-Presidents Chester Weber and his sister, Juliet W. Reid, the tournament is the only in the United States to offer international combined driving and show jumping competition. More than 10,000 spectators attend the four-day show.